The second part of my Geometric 3-4-4 set. 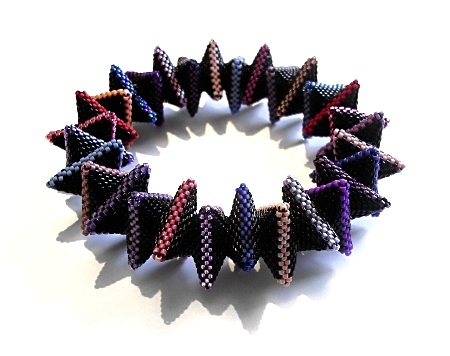 This bracelet was beaded to match and contrast with Geometric 3-4-4a. Both bracelets are identical apart from the reversal of colour placement.